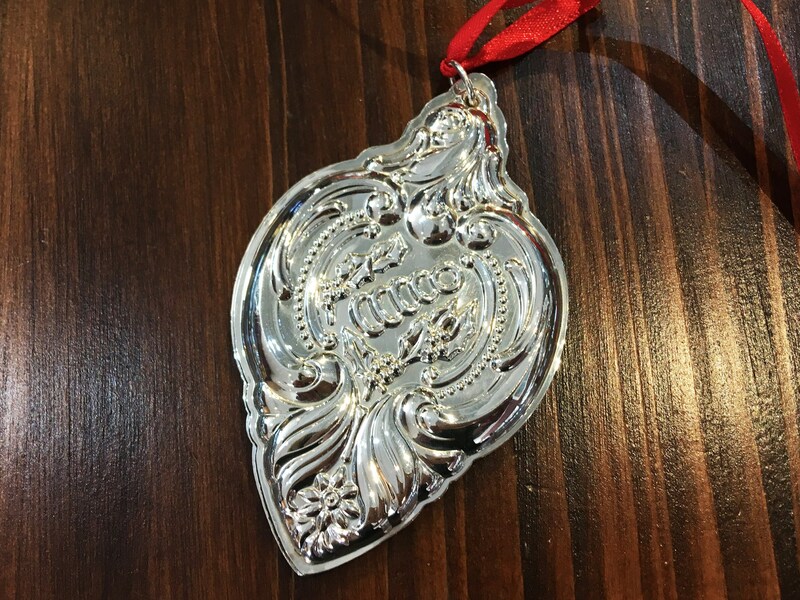 Inspired by the classic carol, The Twelve Days of Christmas, this rare Five Golden Rings sterling silver ornament by Wallace Silversmiths makes the perfect holiday gift. 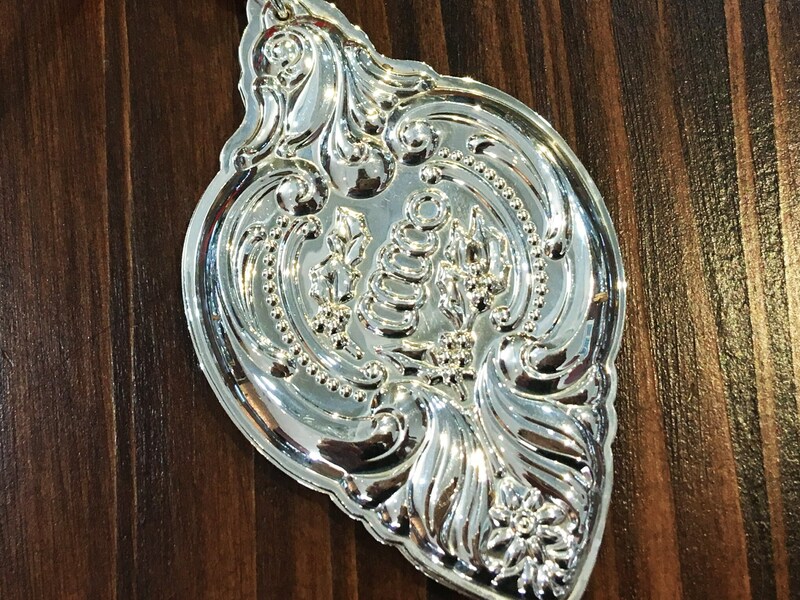 Established in 1835 by Robert Wallace, Wallace Silversmiths, Inc. produced classic silver flatware known for its exquisite and artful composition. From its humble beginnings in Connecticut, the company grew to produce cutlery for customers on a global scale. 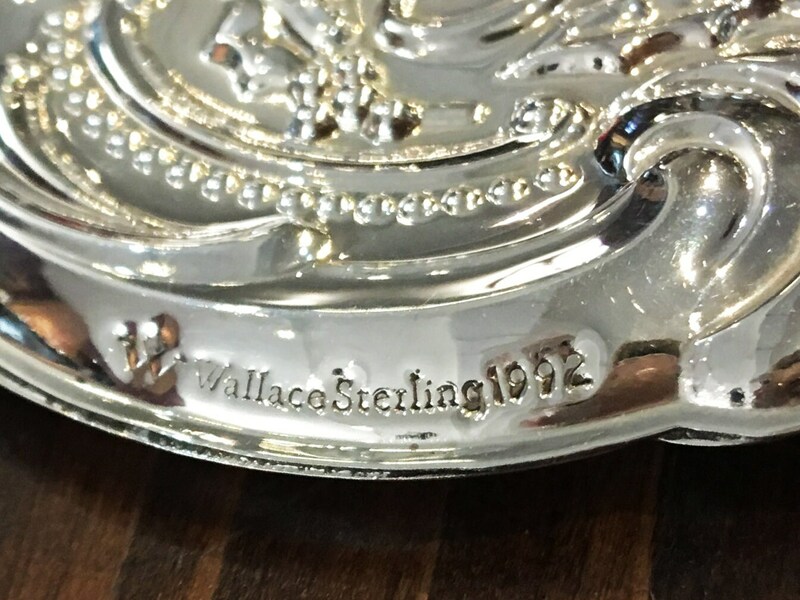 Today, Wallace is renown for its highly collectible craftsmanship.